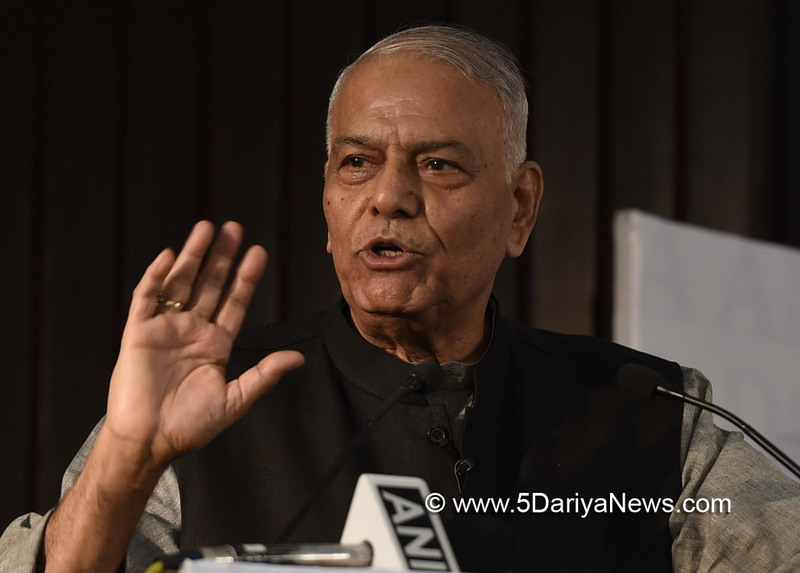 BJP leader Yashwant Sinha has said he will wait for the day when his son and Union Minister Jayant Sinha realises that his dharma is to support his father.Speaking at a book release function on Thursday night, Sinha said there was an attempt to create father-son complications following his article slamming the Modi government's handling of the economy.His son Jayant Sinha, who is Minister of State for Civil Aviation, had written an article a day later talking about "fundamental structural reforms" that were "transforming the economy. "Answering a query, Yashwant Sinha said that overemphasis was being made on the fact that his son is in the council of ministers. "There have been several instances in history, even today, of father and son not agreeing. As I said on the first day, he is doing his dharma, I am doing mine. "Someday he realises his dharma is to support me, I will wait for that day. If he does not realise, good luck to him," Yashwant Sinha said after releasing the latest book of Congress leader Manish Tewari "Tidings of Troubled Times". Yashwant Sinha also indicated that he will continue to articulate his views on various issues. "I am assured of one thing, there is no Agra Fort in which I can be locked up," Sinha said.His reference was to Mughal emperor Shah Jahan who was imprisoned by his son Aurangzeb in the Agra Fort for eight years in the seventeenth century. Yashwant Sinha also said that there were leaders who speak to people from a distance and he had been engaging in conversation. Asked about Prime Minister Narendra Modi's monthly 'Mann Ki Baat' radio programme, he said "a lot of things are one-sided conversations". Yashwant Sinha said he had got the invitation for the book launch much before the debate erupted over his article.